Take a look at how Armedia helped this Federal Government agency built a scalable solution using ArkCase. This independent agency of the U.S. Federal Government works to recruit, retain and honor a world-class workforce for the American people. The Federal Investigative Services (FIS) of OPM conducts 90% of all security clearance investigations for prospective employees across all areas of government. This includes over two million background investigations each year. The agency is tasked with conducting over two million security clearance investigations each year for the federal government and over 100 government agencies. To support these investigations, they use a collection of IT systems that provide imaging capabilities to capture, create, store, retrieve and review investigative case materials in a near paperless environment. These systems also help them respond to Freedom of Information and Privacy Act requests and distribute investigative reports to the federal agencies that have made the requests. Over time, these legacy systems had been repeatedly modified to support evolving requirements. These multiple modifications had taken the system to a point where it was no longer able to meet the agency’s needs and they were faced with the decision to invest more into the old solution or implement a new system. The agency needed a more efficient system that could be configured to fit its needs with the scalability and stability to grow as the volume of data continued to expand. They also needed a platform with a strong records management component. 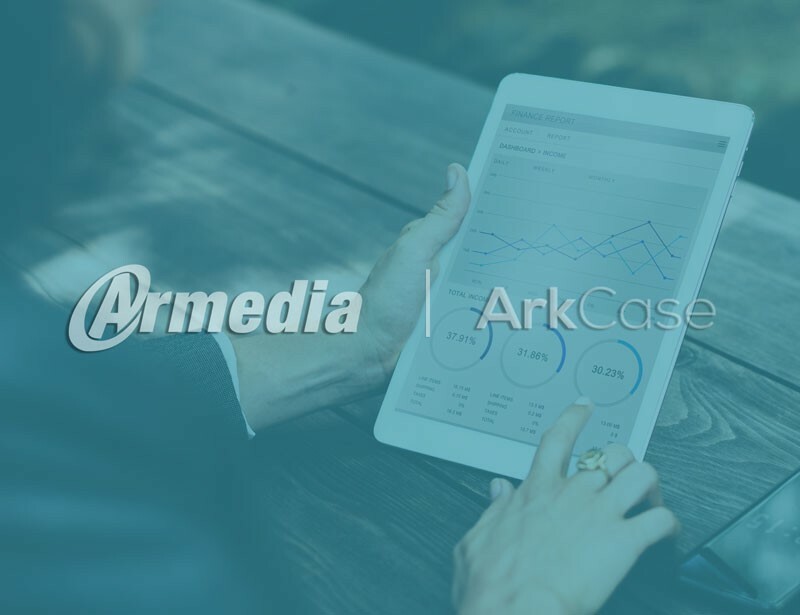 “Armedia streamlined and automated the personnel background investigations process, addressing critical business needs and providing the agency with the ability to scale to support projected volume leveraging Alfresco and ArkCase. Rather than continue to invest in its existing system, the agency elected to invest in a state-of-the-art solution that could evolve with the agency’s critical business functions and integrate with its collection of investigative systems. To avoid the limitations in the system’s ability to handle scalability and agility issues that they had previously experienced as a result of using proprietary technologies, the agency wanted to develop a new imaging system based on open source software. The team worked with partner, Armedia, and selected Alfresco Content Services, a leading ECM platform. Alfresco, combined with ArkCase, now manages all of the content associated with the agencies case management and background investigation process. “We were initially looking to replace our case imaging system only, but Alfresco was suggested by Armedia as the solution to our larger inefficiency issues that affected the agencies business-critical processes,” stated the customer. Alfresco met all the agency’s requirements including the ability to easily modify and adapt systems to meet its evolving business needs, the ability to separate classified and sensitive information when sharing with other various government agencies, and a scalable infrastructure that can adapt to future investigative volumes. to integrate current technology with updated standards and proven information collection techniques. As part of this effort, Armedia migrated over 600 million images totaling more than 40 terabytes from the legacy Oracle Stellent platform to Alfresco with ArkCase as the solution platform. suite of applications to seamlessly deliver integrated solutions across the enterprise. “Using proven technologies like Alfresco and ArkCase, Armedia is able to quickly modernize business solutions for customers. As a Strategic Partner of Alfresco, we follow an Agile methodology to deliver user-centered solutions as we have done for many organizations to include USDA, CFPB, FDA, Joint Staff, and HUD.” said Armedia’s COO, Mannix Litonjua.